I left Pemberton today after having breakfast with Dutch fruit bolls. I thanked the family for letting me stay for four nights and said goodbye to the kids. Greg dropped me off out of town, only some 30km down the road. Along the road he told me about the price differences between Perth petrol and down south petrol. It's about 16 cents per litre different, so it was clear to me why he rather fills up his car in Perth than in Pemberton. Also funny, every petrol station sends it fuel prices to a government board every day, so that any members of the mailinglist of that board receives a list of the entire state's fuel prices. What a way to get you way to the cheapest petrol station (driving there must cost petrol too) and to let the station owners keep the prices down! I was standing at this very remote crossing in a forest area for over 30 mins before one car passed me and pulled over. The rain had already gotten me quite wet. I got a ride from Chris from Perth. He works for a French catering company and will be made redundant within a few weeks. 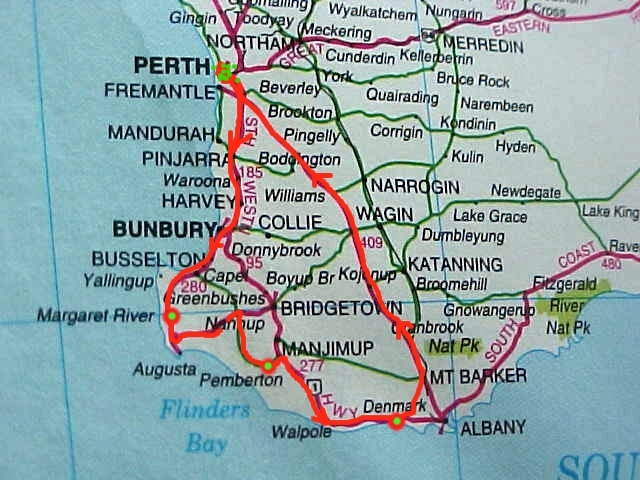 As he will be moving back to the east coast again for something else to do, he uses his last weekends in Western Australia to say goodbye to the southwest with long drives and lots of sightseeing. He took me all along to outside of Walpole, where he was going for a walk on the famous Top Tree Walk. I had a destination to reach and stood in the rain for another hour. My scenery would be very pleasant without the rain. I looked out over this entirely green valley with forests at the sides and smooth dark hills in the back. The clouds of rain actually gave a very mystical sight to it. What a movie shot! 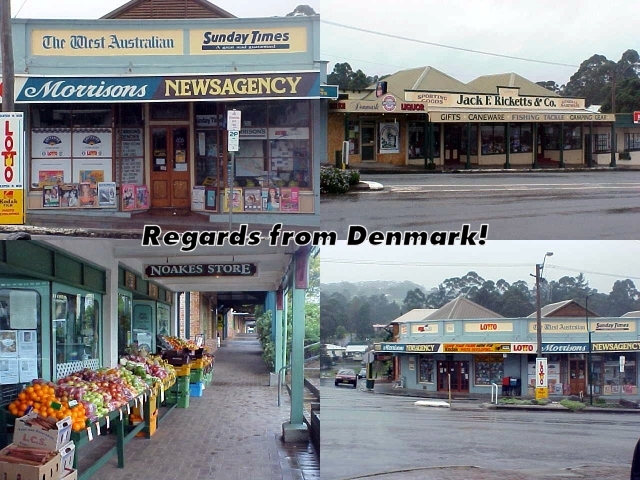 I was soaked when I got in a car for a ride to Denmark, the next town down the highway and my destination for today. My driver, I forgot his name, was very inspired by my way of travelling. He told me about Denmark and I learned how the town had grown from a timber town into this cultural arty town it is right now. The beardy man was original from Zimbabwe, where his father still is a farmer. That intrigued me, because the latest news reports from Zimbabwe weren't always that positive. In the last few months 70% of the white farmers lost their farmland to the black people, but his dad was with the 30% that could still continue farming. "Life just goes on again. 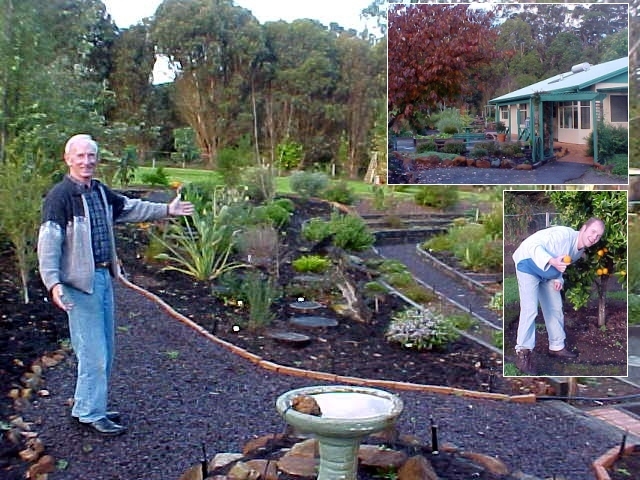 If something would happen, dad comes straight to Australia," he said. 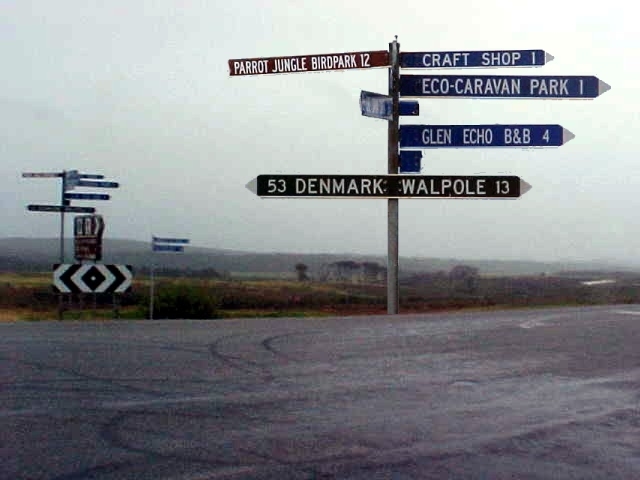 There isn't much to see along the roads from Pemberton to Walpole and to Denmark. Unless you are fascinated by lots of trees, then this is your place to be. The trees at the Tree Top Walk in the Valley of the Giants near Walpole are even one of the tallest trees in the world! 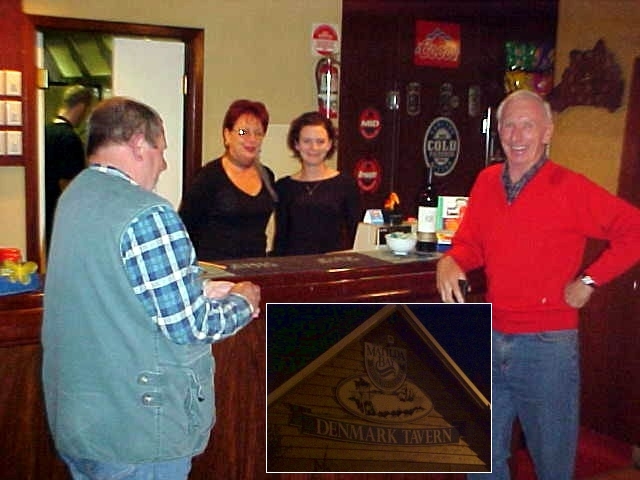 It was about 3pm when I finally arrived in DenmarkI thanked my driver who was a local here and contacted my Denmark hosts. 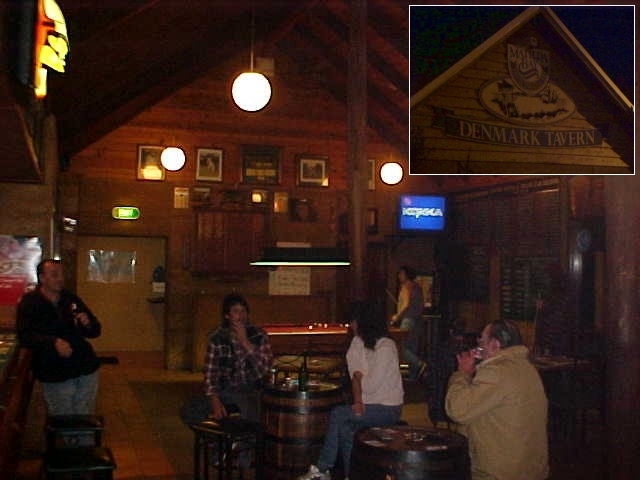 Denmark is located where the forest meets the sea, a total 400 km south of Perth. In 1829 Thomas Braidwood Wilson became the first European to explore the region, naming the local river in honour to his friend, English naval surgeon Dr. Alexander Denmark. My host Kevin picked me up and it ended up that he and his wife Maureen only live a stone throw from the town main streets. While slurping a cup of coffee near a warm fireplace I get to know my hosting family for tonight. The family originates from Yorkshire, England. Kevin is a retired Royal Air Force coding engineer (the beep-beep-beep-stuff) and when they migrated to Australia in 1969 he started as a builder in the construction industry while Maureen worked for the governments survey department. Maureen tells me they have five children, sixteen grand children and four grand-grand-children. Huh? Who's been that busy? The kids have all spread out and the couple now leaves a peaceful life in the fertile region of the Australian southwest. I had to see Kevin's dirt free builder's shed and with pride he showed me how busy they have been (and still are) with their garden. The people of Denmark should give them an award for the best garden in town. What a time they must have spent there! 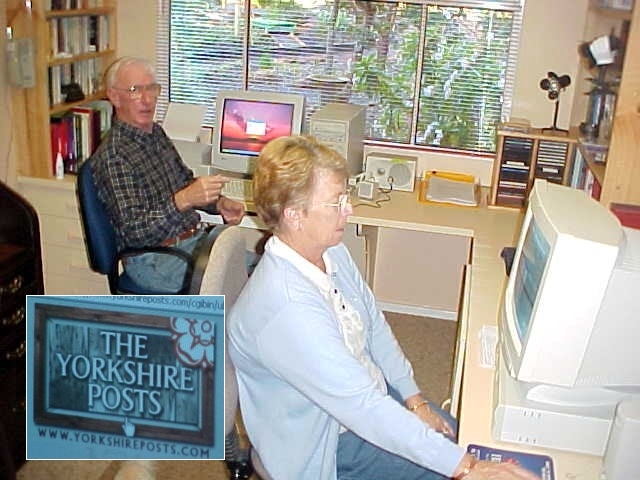 Maureen showed me her own website about Denmark and the Yorkshire-posting board for Yorkshire-people that have moved all over the world. 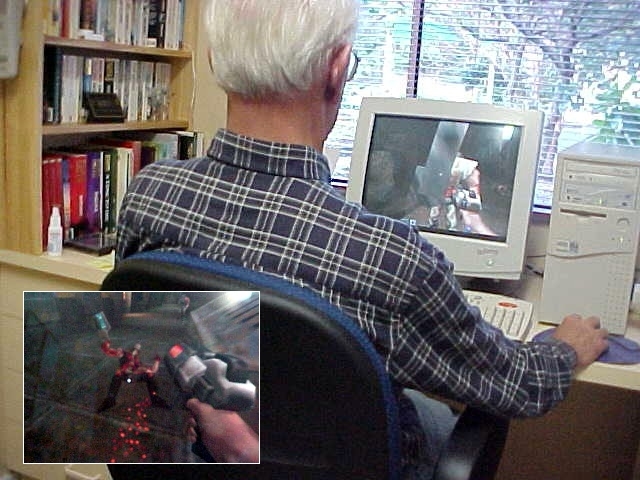 As my visit to them changed their entire daily life ("It is a special occasion for us to," Maureen said and I was photographed in front of their computers), they proposed to have dinner out at the Denmark Tavern in town. Their friends Ken and Sue joined us during dinner and Kevin and Ken were having quite a event in telling the managers of the tavern all about me. "He made it into the News Of The World newspaper last month! He is famous?" Suddenly the chef cook was shaking my hands. Eh? I think I blushed a bit. I had a chicken parmagiani for dinner and afterwards Kevin invited me for a game of pool in the next room's pub area. I thought it would be easy to win a game of pool against and older person like Kevin, but forget that. Every time I thought I had him, he'd beat me. I lost all three games we played. Haha, life wasn't fair. We didn't make it too late tonight, because Kevin and Maureen were very up to date with my project. They knew I'd spending a while behind my laptop to write my stories and do all my things. They let me work in peace as they watched a documentary on TV. Tomorrow I plan to go straight back to Perth. I know there is so much more to see around here and my hosts here would easily have let me stayed a few more days, but in my mind I am bothered about being stuck in this part of the country.